I presume you all got the reference to 'Hancocks Half Hour' and one of the best sketches ever? The aerial will be erected when I find out where the nearest transmitter is and in what direction. (Well, that is my excuse anyway ). The aerial will be erected when I find out where the nearest transmitter is and in what direction. Maybe Mr Hancock needs to launch “An Ecnomy Drive” in order to pay for his new roof. From whence came the splendid semi detached houses, as shown in reply 33 on this thread? The semi-detached houses are 'Metcalfe' kits. I do not think I did any 'bashing' on these. Incidentally, since my previous report in reply #33, the semis have had the chimney pots replaced, so, okay, there has been some kit bashing. 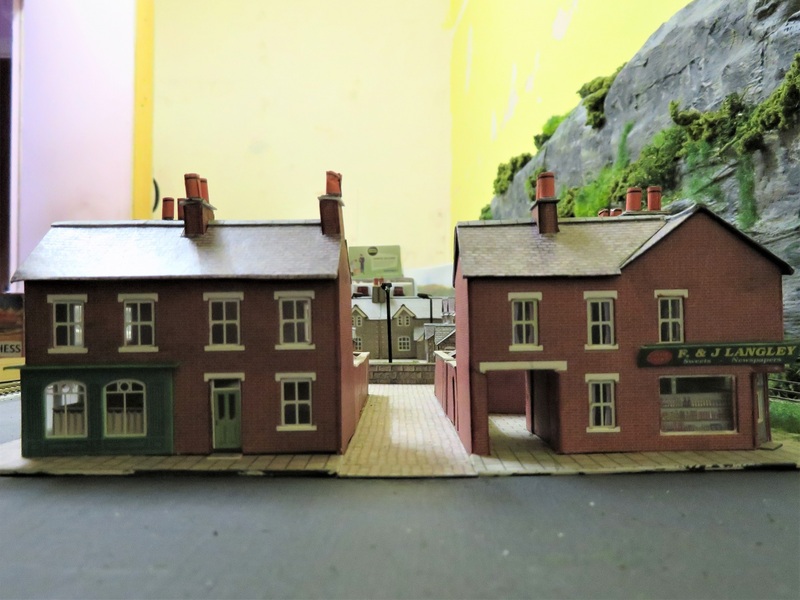 The next chapter, concerning the brick terrace houses, shop and pub, should be appearing over the weekend. The semi-detached houses are 'Metcalfe' kits. Thank you. 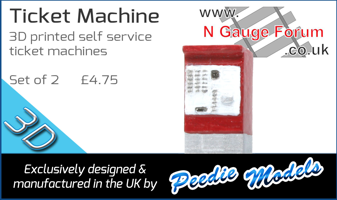 Unfortunately the Metcalfe semis have been discontinued and I thought you'd found an alternative! Didn't realise they were one and the same thing. I had two pairs of the semis which I bought a long time ago. When I decided that I wanted a third pair, I had to spend nearly an hour on t'web looking for one as, as you say, they have been discontinued. I eventually found one marked as 'last one', so I actually rang the place in the UK to make sure they had it. Just caught up with this, what with hospital and whatnot (I'm getting out this morning, by the way). Looking great. I like the configuration of the terraced houses, which is very reminiscent of some not far from where I used to live. Thanks for that. Just remember that when you 'get out', you leave the pretty nurses in the hospital. . I hope things are going well for you now. Here I am wide awake and it's still dark!! 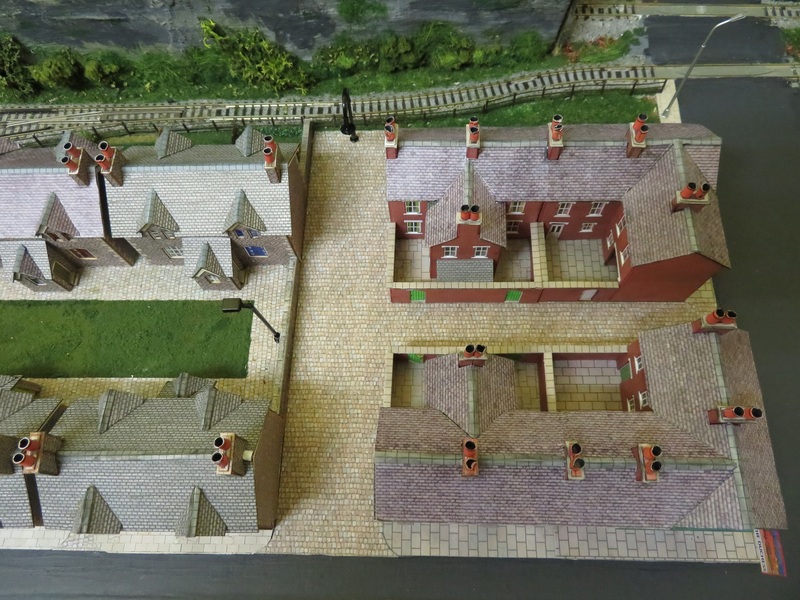 The four red brick houses, which had been built to accommodate some of the railway workers at the maintenance depot, were at the East end of the village, on a piece of land at the junction of Railway Road and Main Street. Also built at the same time was a corner shop and public house. The public house had, rather unimaginatively, been called ‘The Railway Tavern’ since being built in the late 19th century but this was to change in 1944. In 1942, the Sir William Stanier designed ‘Duchess of Hamilton' railway engine returned from the United States Of America, having been one of the stars at the 1939 New York World’s Fair. The engine was to be painted in the wartime black colours in 1944, and had one last trip in her magnificent maroon and gold streamlined livery. Due to bomb damage on the main West Coast line, the Duchess was diverted and had to pass through Averingcliffe. However, on approaching the station, the driver, Ted Harrison, realised that the safety valve was not functioning correctly. 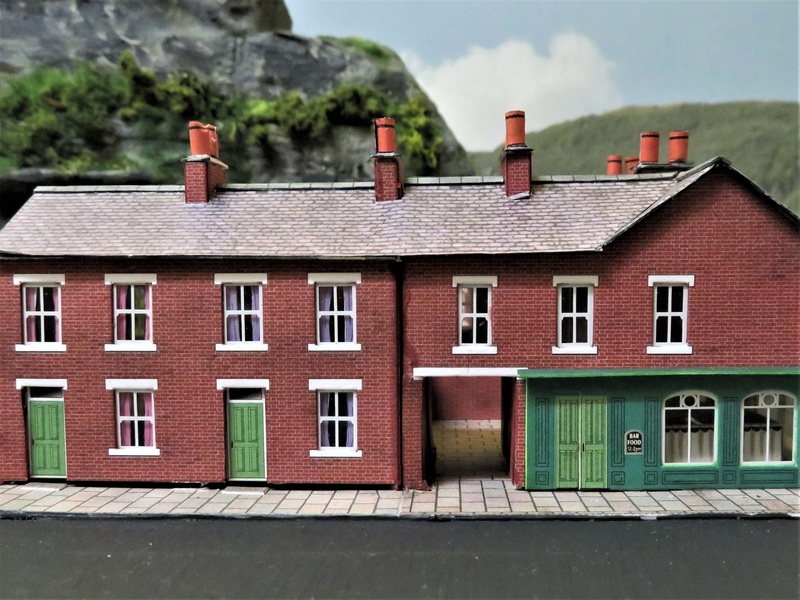 Knowing that there was a maintenance depot at Averingcliffe, he stopped in the station and after hasty consultation with the Station Master and a few hurried telephone calls, 'Duchess of Hamilton' was taken to the maintenance facilities and the problem quickly sorted. 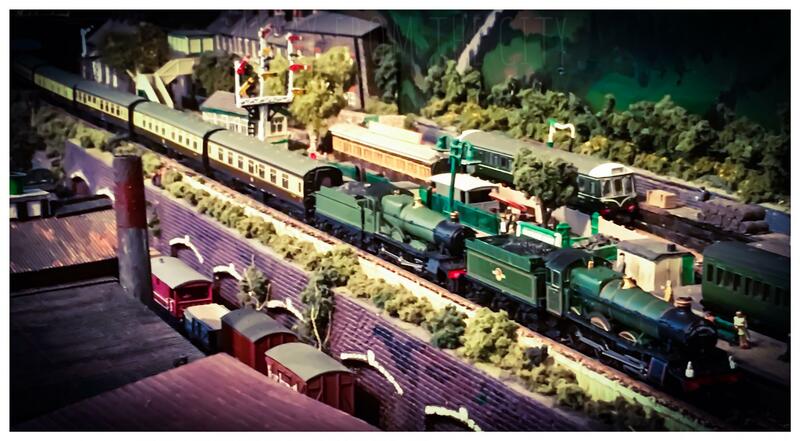 News of the arrival of the Duchess spread throughout the village and surrounding areas and a large crowd quickly grew in the vicinity of the tracks. Because of this, the local police constable, Edwin Cooke had to call for reinforcements to assist with crowd control. The visit of the locomotive was the main topic of conversation for weeks and, with permission of the brewery, ‘The Railway Tavern’ became ‘The Duchess’. William Routledge, who lived at 24 Railway Cuttings with his Mother Elizabeth, next door to Anthony Hancock, offered to paint a new sign which he did, completing it a couple of months later. 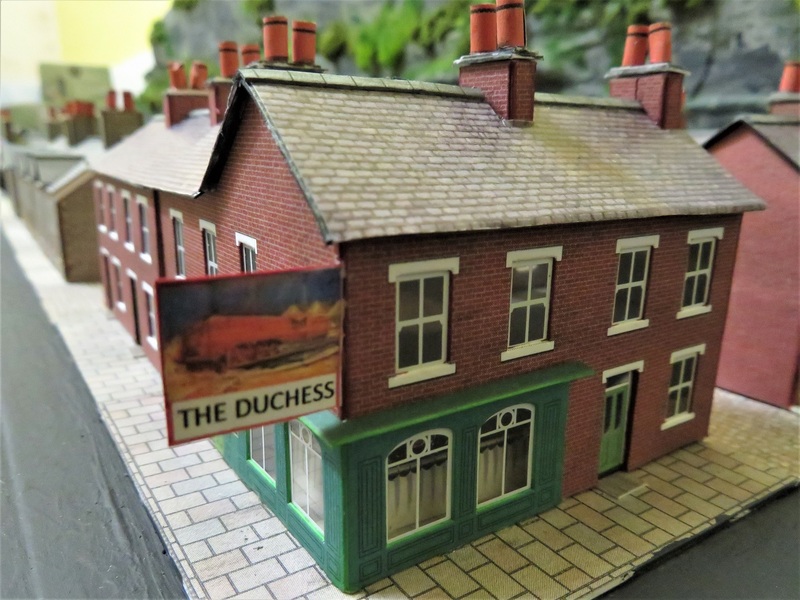 The public house was officially renamed on 1st November that year, shortly before the Duchess was painted in wartime black. The corner shop was owned by Mr. Arkwright. All manner of things were sold, from bread to vegetables, clothes pegs to fork handles. They also sold milk, obtained from Wakefield Dairies of course. Mr. Arkwright had a reputation of being a bit of a skinflint and, when purchasing the shop from the previous owners, a Mr. and Mrs. Langley, he decided that there was no point in spending money on changing the name. There are still some remedial roadworks to be done and one or two of the chimney stacks and pots also need some work. I now know where to come if I need rubber plugs. And a pint or two of fine foaming ale afterwards. I assume keg beer is banned in The 'Duchess'.